If they want to discover the truth, Lydia and Jeffrey will have to follow the trail that Lily left behind, a trail of evidence that - like Lily herself - seems to disappear like smoke. 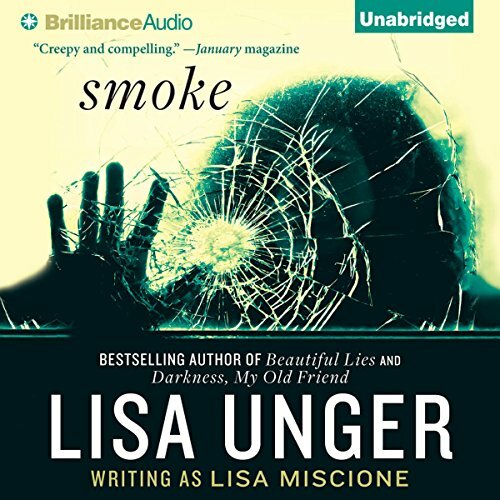 ©2012 Lisa Unger (P)2012 Brilliance Audio, Inc. Struggled to finish this book. Narrator was pretty bad. I Would not recommend this book. If you could sum up Smoke in three words, what would they be? Aside from this series I'm not sure if I have but her being a narrator may tip the scales to a yes purchase if a was on the fence. This was an early series in the author's career. While it is rough around the edges, more so in the first 2 books in the series, you can see she's going to be a best selling author. I would love to see what Lydia is up to now!! Absolutely loved Lydia Strong and all her journey's and conviction to doing what's right and helping those in need!